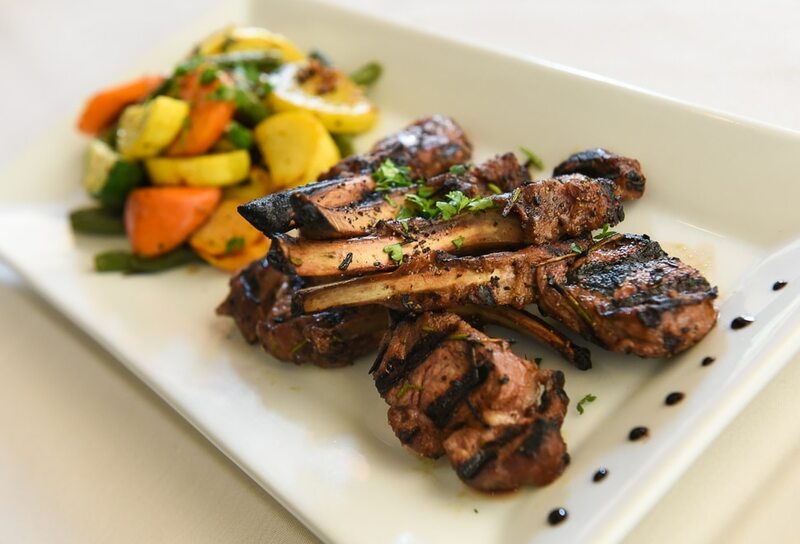 (Francisco Kjolseth | The Salt Lake Tribune) Grilled rosemary lamb chops with roasted vegetables from Per Noi Trattoria, a popular Italian restaurant in Salt Lake City, that just opened a second location at 8657 S. Highland Drive in Sandy. 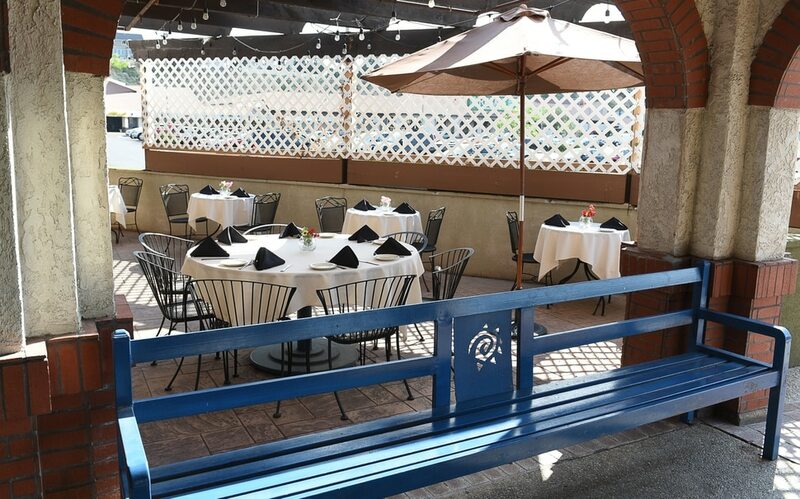 (Francisco Kjolseth | The Salt Lake Tribune) Per Noi, a popular Italian restaurant in Salt Lake City, has opened a second location in Sandy at 8657 S. Highland Drive, featuring a patio. 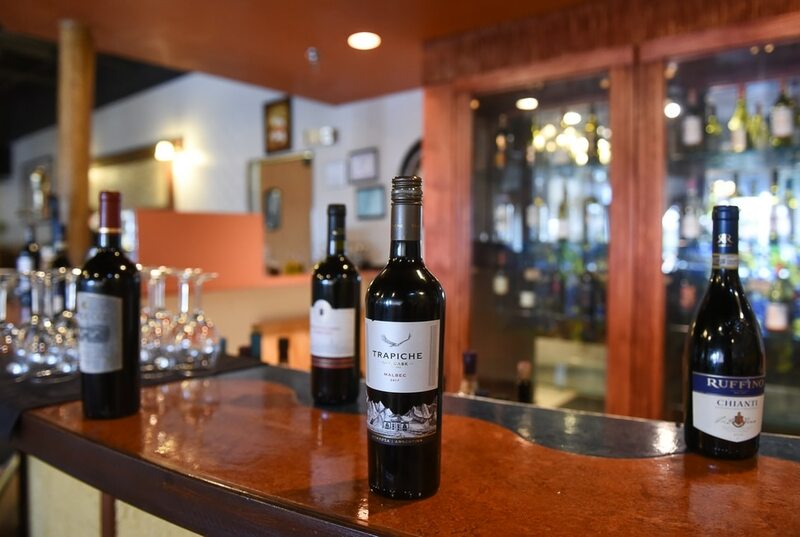 (Francisco Kjolseth | The Salt Lake Tribune) Per Noi Trattoria, a popular Italian restaurant in Salt Lake City, just opened a second location at 8657 S. Highland Drive in Sandy with an extensive wine selection. (Francisco Kjolseth | The Salt Lake Tribune) Tiramisu Per Noi Trattoria, a popular Italian restaurant in Salt Lake City, that just opened a second location in Sandy at 8657 S. Highland Drive. (Francisco Kjolseth | The Salt Lake Tribune) Homemade pesto, creamy gorgonzola and tomato basil gnocchi with fresh baked bread at Per Noi Trattoria, a popular Italian restaurant in Salt Lake City, that just opened a second location at 8657 S. Highland Drive in Sandy. (Francisco Kjolseth | The Salt Lake Tribune) Italian restaurant Per Noi Trattoria chef and co-owner Francesco Montino prepares fresh dishes in the kitchen of their new location at 8657 S. Highland Drive in Sandy on Thursday, Aug. 17, 2018. (Francisco Kjolseth | The Salt Lake Tribune) Per Noi Trattoria, a popular Italian restaurant in Salt Lake City, just opened a second location at 8657 S. Highland Drive in Sandy. (Francisco Kjolseth | The Salt Lake Tribune) Italian restaurant chef and co-owner Francesco Montino at Per Noi Trattoria shows off the grilled rosemary lamb chops with roasted vegetables at their new location at 8657 S. Highland Drive in Sandy on Thursday, Aug. 17, 2018. Salt Lake City’s popular Italian restaurant Per Noi Trattoria has opened a second location, in Sandy. Chef and owner Francesco Montino, along with business partner Tony Casella, took over the spot at 8657 Highland Drive, where Sole Mio — and the short-lived el Sol — was previously located. “It’s exactly the same menu,” Montino said of the new location that seats about 160. Loyal customers are able to enjoy all their favorite dishes, from the fresh pasta and gnocchi with house-made sauces to the arancini (fried rice balls) and chicken marsala. This has been a busy year for the business owners. In March, they moved their popular Salt Lake City trattoria from its original spot at 1588 Stratford Ave. to a larger place at 3005 S. Highland Drive, once home to Michelangelo Ristorante.